Long coat, socks and mono-brow. Little children will run in fear when they spot you in this fearsome Miss Trunchbull costume. The terrifying headmistress is sure to put them in the chokey if they misbehave! 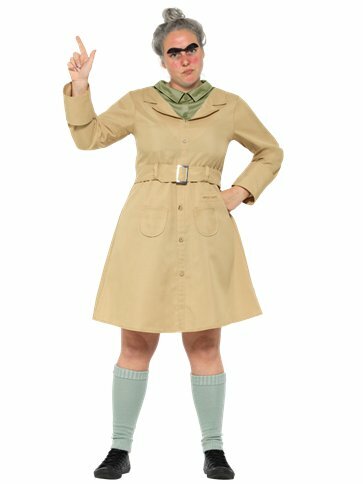 Get the look in no time with this costume which includes the long trademark trench coatwith attached green shirt, knee high grey socks and stern mono-brow!